For those special occasions or just to treat yourself. I hand paint and design unique gifts with names, dates and places of celebrations to be remembered. 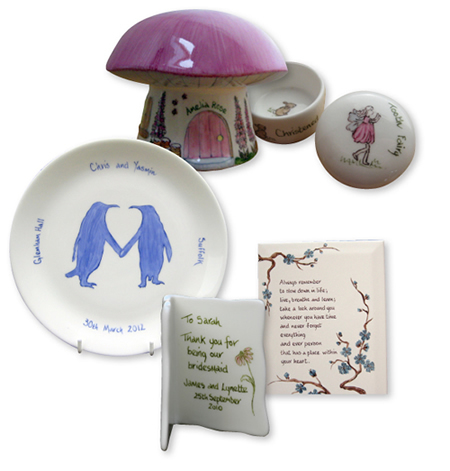 Babies birth or christening details or just hand written words with personal meaning to you. Items to match your home decor, test firing colours where needed. All hand painted and fired in my kilns.